During their annual keynote at the MacWorld conference in San Francisco today, Apple Senior Vice President of Worldwide Product Marketing Phil Schiller announced a beta of iWork.com, their cloud-based productivity suite that was rumored last week. 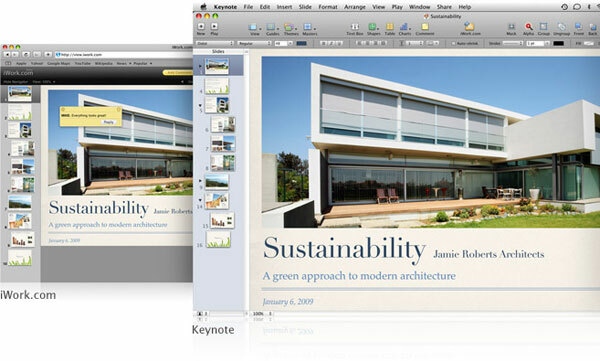 iWork.com allows Apple iWork users to upload documents to a web based version of the application for collaboration with other parties — including Windows users. Once uploaded, documents retain their visual integrity and can be edited or revised on the site by any number of users. For now, iWork.com will be offered a free, closed beta, but eventually it will become a pay service. We’ll update this post when more information becomes available, but right now, it appears that Apple is taking a similar approach to web applications as Microsoft. iWork 09 + iWork.com feels a lot like Microsoft’s client + cloud vision, in which desktop software is complimented by an online version of the application that allows for cross platform collaboration and web based storage. Update: Apple’s iWork.com site is now up, and on second glance it appears that iWork.com competes more with services like Adobe Share or Microsoft Office Live Workspace than it does with Google Docs. iWork.com is not a full fledged software as a service suite of productivity applications. There are no web app versions of Pages, Numbers, or Keynote as part of iWork.com. Instead, what Apple has created is a service built into the 2009 release of the desktop version of iWork that allows users to share documents via a web interface with other users. Documents can be downloaded in iWork format, Microsoft Office format, and PDF, and users can leave comments on shared items than can be downloaded as part of the shared document by the original author. There is no full online editing feature of iWork.com, however. So it doesn’t compete with Google Docs — at least not yet. For now, iWork.com is a software + services play that specifically focuses on very basic sharing and collaboration. It’s a nice addition to iWork, but nothing that will really set the world on fire. 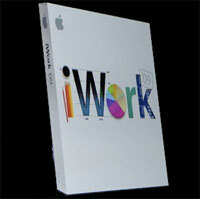 When it was initially announced, iWork.com sounded like something that could potentially be very cool. But upon closer examination, it’s actually not all that exciting. Update 2: Microsoft’s Mac Business Unit also announced a software + services release today at MacWorld. 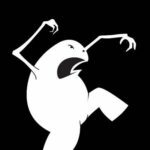 “Microsoft said it would now be easier for Office for Mac users to work with SharePoint and Office Live Workspaces. From within Office for Mac, users will soon be able to upload and download documents they are collaborating on via SharePoint and Office Live Workspaces,” writes Microsoft watching blogger Joseph Tartakoff. In other words, Office for Mac will more or less match iWork’s new iWork.com feature. However, because iWork.com requires iWork, followed by an additional service fee, and at present includes no online editing component, I’m still going to call this one a disappoint for now.